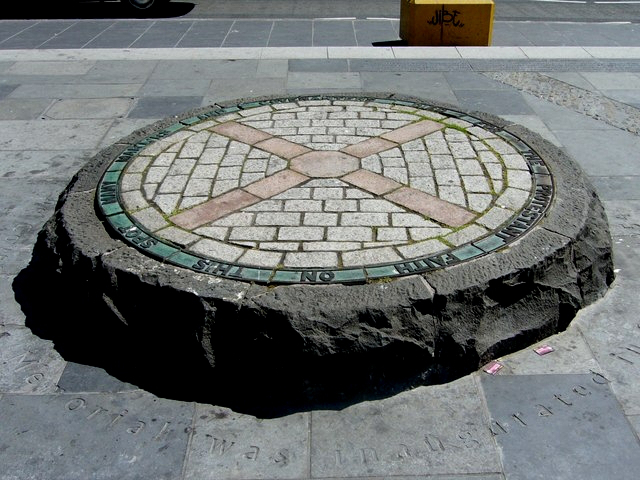 In 1693, George Ridpath, one of the first Scottish journalists, published a list of Covenanters who had been summarily executed in the fields. Ridpath’s list was copied from the list found in Alexander Shields’ A Short Memorial in 1690. It appeared in his pamphlet An Answer to the Scotch Presbyterian Eloquence (1693), 39-42. ‘A LIST of those Murdered in Cold Blood, without trial, conviction, or any colour of Law. 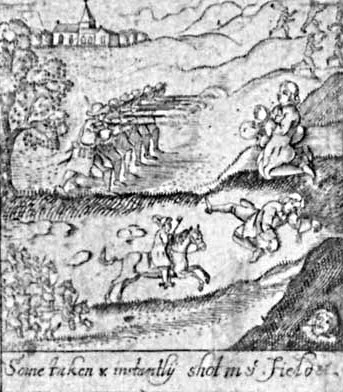 ONE Finlay shot at Belmoynock, by General Dalzel’s orders, because he could not discover who was in arms at Pentland, Anno 1666; James Davie in Bathgate parish, and several others at divers times, shot, as hearing sermons in the fields, before the insurrection at Bothwell-bridge [in 1679]. Henry Hall of Haughhead, murdered at the Queen’s Ferry [in 1680], by Thomas George Waiter, after several wounds from Middleton, Governor of Blackness. John Graham of Claverhouse and his troop of horse. William Graham in Galloway, shot by Graham of Claverhouse’s order [in 1682], who together with the Earl of Dumbarton, and Lieut. General Douglas, caused to hang Peter Gillis, John Bryce, Thomas Young, William Fiddison, and John Binning, without trial or sentence, suffering them neither to have bible, nor time to pray; at Mauchlin, Anno 1685. The said Graham of Claverhouse shot Robert Stuart, John Grier, Robert Ferguson, and another, at the river Dee in Galloway, Dec. 1684, and by his order they were again raised out of their graves. 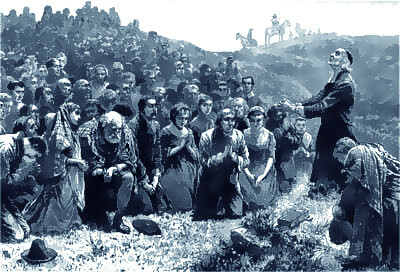 May 1685, he shot John Brown of Priesthill in the Parish of Moorkirk, in the shire of Air, as at his work before his own door, in presence of his wife. He also ordered his troop to kill Matthew Mackelwrath without examination, in the parish of Camenel in Carrick, Anno 1685.